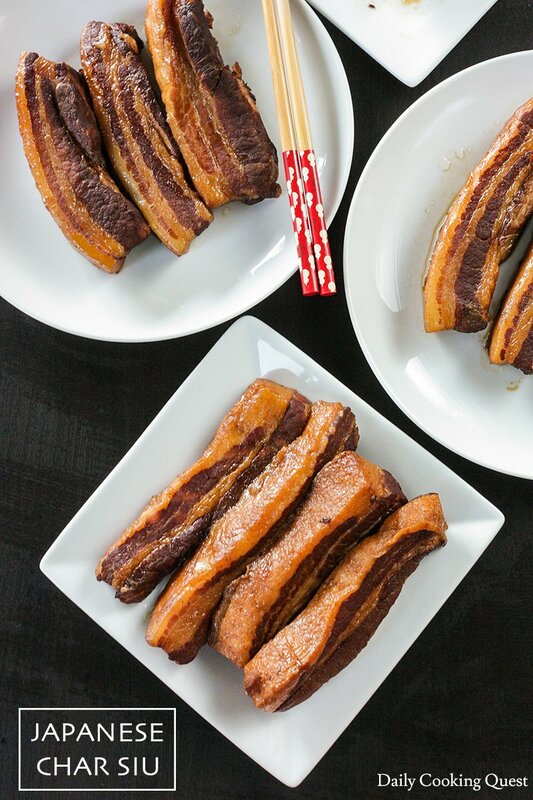 I have been meaning to share this super easy and super delicious Japanese char siu recipe for the longest time. You know why the delay? Because I was super lazy to buy some kitchen string and tie my pork belly into pretty looking round bundle. 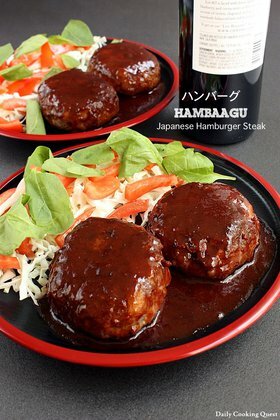 The extra step doesn’t do anything to improve the taste, the recipe is awesome as is, but it does give you the look of char siu sold in ramen shops. But… if I keep waiting for that to happen, I don’t know when that will happen, so here goes. 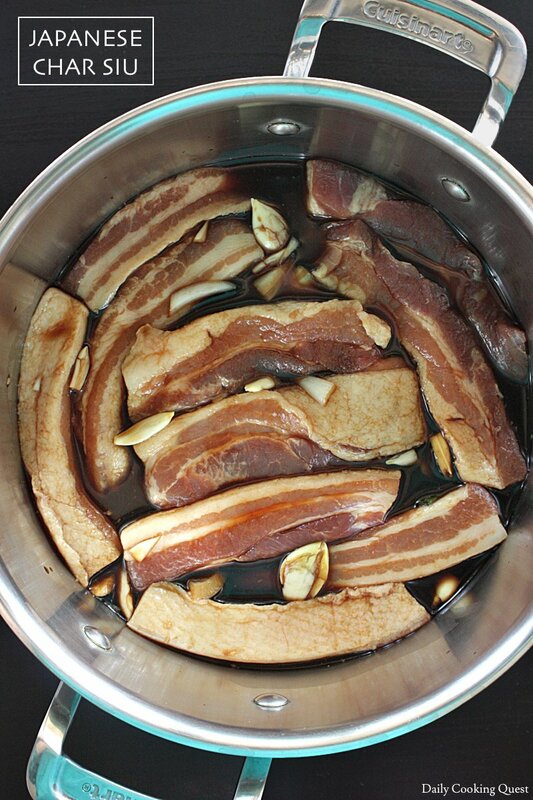 The next most important thing to prepare once you have your pork belly is to prepare the broth. This is a soy sauce (shoyu) base broth, and you do need plenty of it. 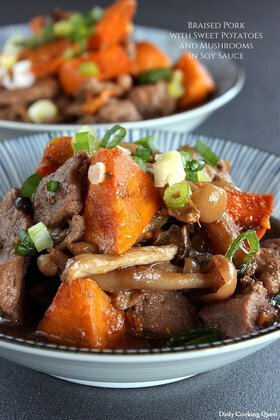 For 1 kilogram meat, I use 6 cups soy sauce, 1 cup sake, 1⁄4 cup brown sugar, 2 onions, 1 bulb garlic, 4 scallions, 2” ginger, and 1 cup carrot. I love this broth so much, and once you are done cooking the char siu, don’t throw the broth away. 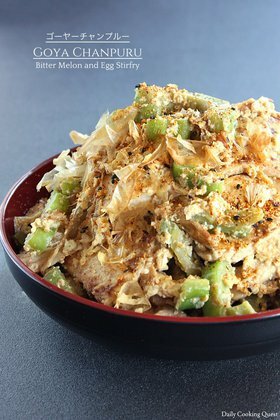 This super delicious soy sauce based broth is perfect for making shoyu tamago! So prepare some soft boiled eggs, and once the broth is cool (or at room temperature), gently drop peeled eggs into the broth. I really like shoyu tamago prepared with this broth compared to the traditional recipe since the broth has so much depth from cooking the char siu. If you look at my picture, it is clear that the broth can be used for even 2 dozens egg! 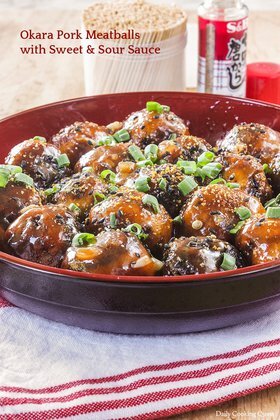 Place soy sauce, sake, and brown sugar in a soup pot, mix well. Add pork belly, onion, garlic, scallions, ginger, and carrot into the pot. Bring to a boil, the quickly reduce to a very gentle simmer. Cover the pot and cook for 90 minutes. Gently remove the pork belly from the broth and set aside. Once the broth is around room temperature, gently drop the eggs into the broth to marinate. 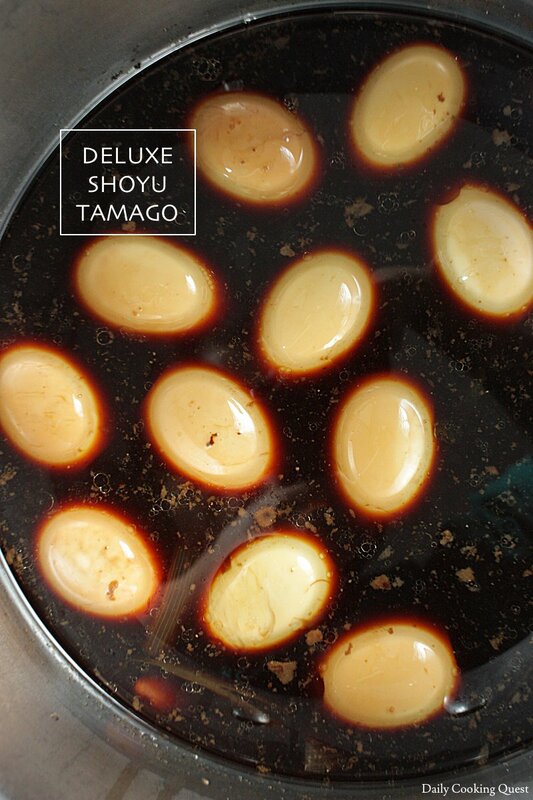 Even an hour of soaking time is enough to make delicious shoyu tamago. I never bother rolling up my pork belly for Japanese char siu as well haha. 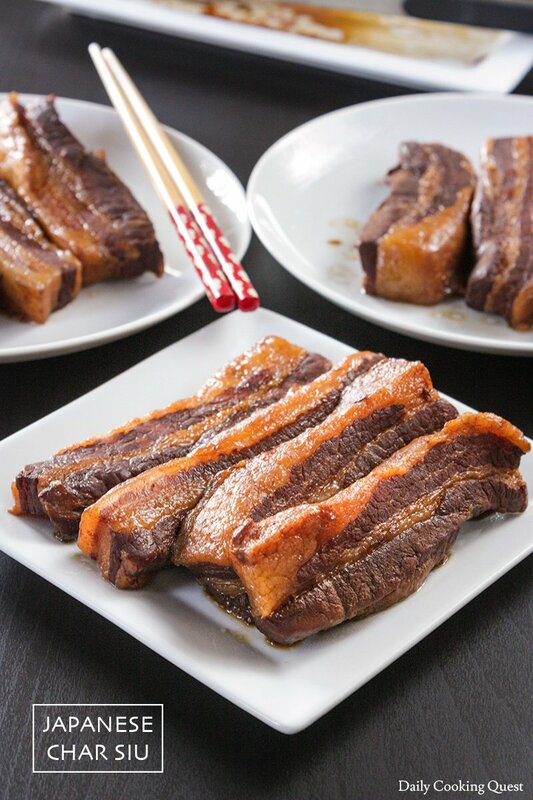 The char siu and tamago will be soooo good in a big bowl of ramen! Does anyone know where Anita has gone. Sudden silence.